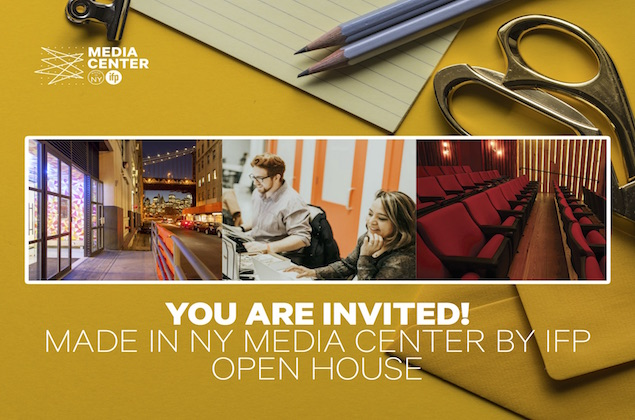 Please join the Made in NY Media Center for an open house on Wednesday, August 1, 2018. The Made in NY Media Center by IFP is a collaborative workspace and media arts gallery, as well as home to a state-of-the-art 72-seat theater. We house a diverse range of startups, content creators and production companies. Through our programming and special events, members of our community benefit from access to IFP's extensive alumni network and our relationship with the Mayor's Office of Media and Entertainment. Tours will be held at 10:30 and 11:00am with Media Center staff available for one-on-one meetings.